College is that phase in your life where you get to have tons of opportunities come along your way. It’s one of your huge chances to show what you’ve got by potential companies that are aligned to which industry you want to focus your career on or business growth. 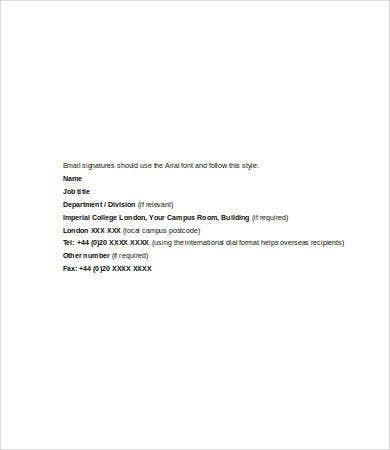 Having an E-mail Signature when you reach out to individuals and companies who are associated with the same industry can be advantageous. This can help maximize your opportunities and efficiently promote your name given your industry related and crucial piece of information. 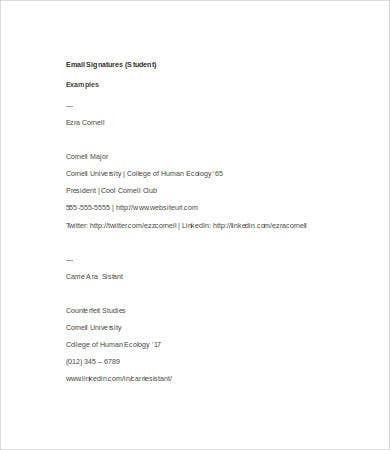 This guide will help you how you can ace your e-mail signature as to which particular type of e-mail signatures you fall in to. Full Name – It’s always important to indicate your full name (you can have it either on the last name first and then first name after or vice versa), it not only gains you credibility but only shows professionalism. 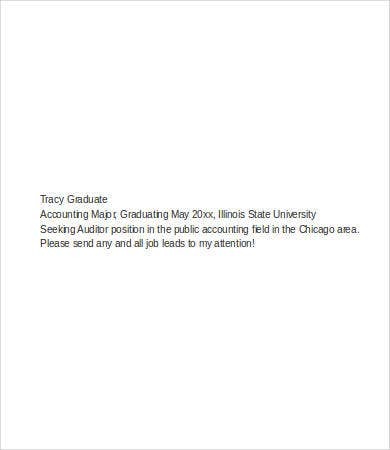 If you’re using Outlook as an e-mail client, your Outlook Email Signature can include the basic information mentioned above, showcasing the most relevant ones. It’s basically the same as using Google Mail. The difference is that Outlook is locally installed in your hardware, while Gmail, on the other hand, is on the Web and online based. 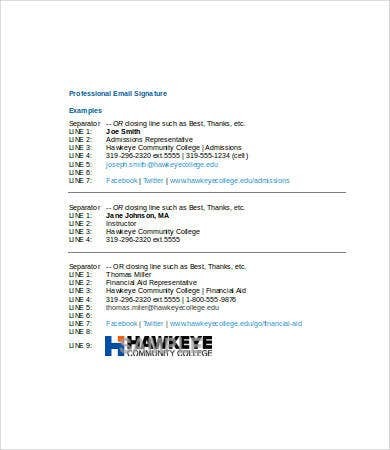 For some college students who are also working at the same time, one way to effectively showcase your Corporate Email Signature is to incorporate the highlights as you would have for your business card. Given the full name, affiliated organization, position, and contact numbers all being stated, you can creatively include your professional portrait as well as your social media and your website portfolio to market your professional brand. A logo of the school or the organization that you’re affiliated to is appealing. but it isn’t always a necessity. 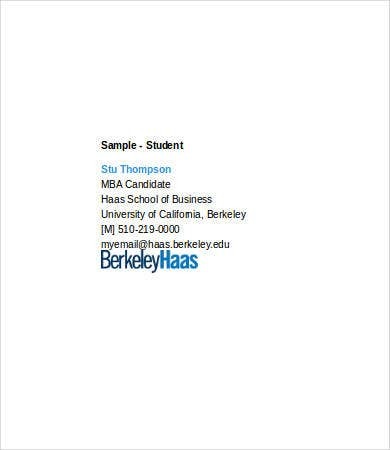 One more plus is adding a call to action permalink on your e-mail signature so that potential associates can easily be redirected to your website portfolio. In that way, it would be much easier for you to showcase your skill set and strengths and also easier for them to be able to contact you for future collaborations. 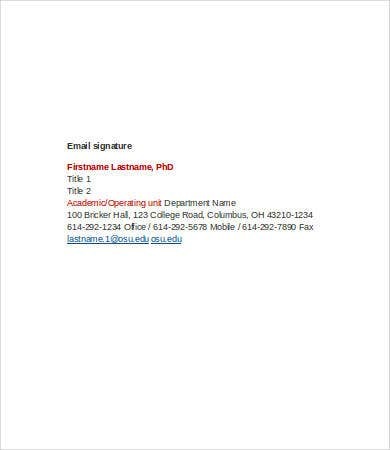 Moreover, creating a Business Services E-mail Signature can be a rather simple and playful task. 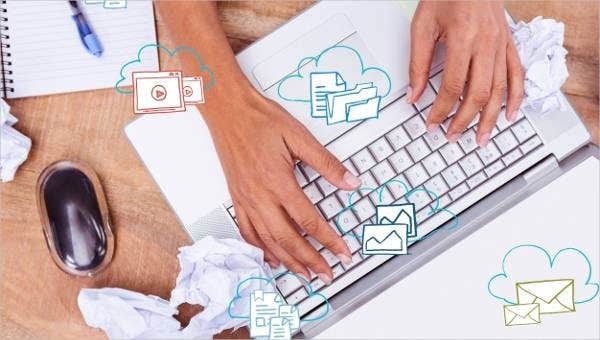 The important part is how you can be able to personalize, market, and showcase your professional brand, most importantly, how you promptly respond to the emails which you have received. Creating your professional brand is an advantage in today’s digital age, not only that you will be perceived as technologically savvy and knowledgeable, but it also shows how adaptable you are career wise in this fast changing world. 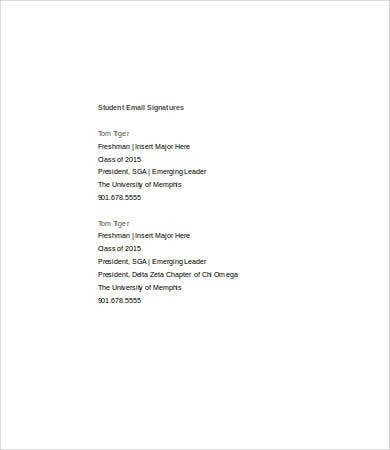 Just think about how you can be able to thoroughly channel your professional brand by using an e-mail signature as your tool and see to it that every single relevant information is concise, direct to the point, and detailed.